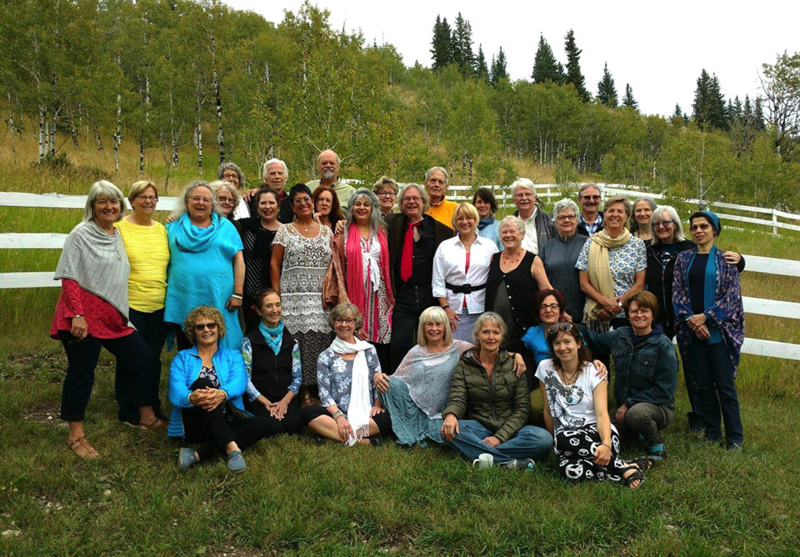 A Canadian Sufi Retreat, experienced in the beauty of the natural world, where the enduring tradition of welcoming friendship and inspiring activities creates an atmosphere of Love, Harmony and Beauty. “… when one seems to walk in the breath or upon the breath, one is raised, so to speak, above the denseness of earth, and this leads toward mastery." We are pleased to invite you to register to attend the 2017 Sufi Movement in Canada Retreat. Walking the Path will be held at The Crossing at Ghost River August 21-24, 2017. This retreat is for all seekers on the path and is supported and funded by the Sufi Movement in Canada and is dedicated to the memory of our beloved brother and teacher, Murshid Hidayat Inayat-Khan. With our theme of Walking the Path we will be exploring, along with the many practices given to us by Hazrat Inayat Khan, the action or rhythm of walking – a technique used by Sufi dervishes for dissolving the attachments of the world and allowing one to lose oneself in God. It has been said that toward the end of the journey, the dervish becomes the Way ~ not just the wayfarer. And what better place to begin this journey than The Crossing at Ghost River? We first toured The Crossing in the summer of 2016 and fell in love with the peace, serenity and comfort of the 145 acre property in the rolling foothills of the Canadian Rockies. The Crossing offers a professional level of service, the luxury of your own spacious bedroom with ensuite bath and a fabulous menu planned by award winning chefs. Our teaching/practice space will be in ‘Pine Loft’ from where there is a pleasant stroll down to the river. A fire pit with ample seating is situated at the river’s edge, a perfect spot for evening star gazing. As we have passed our desired target of 18 registrants, we Sufis will have sole use of this wonderful property for our 4 day stay. Please note: Non-members can direct that $25.00 of their $610.00 fee be used to purchase an annual Sufi Movement In Canada membership which helps enable us to support ongoing Sufi events and retreats here in Canada.